NAPLES, Fla. (Dec. 4, 2018) – DMA (Digital Marketing Agency), a global provider of digital marketing solutions for businesses, has recalibrated and refined their innovative digital marketing program designed specifically for the building industry. CEO Solomon Thimothy announced news of the upgraded program last week. Thimothy explains that most developers may be equipped with state-of-the-art website design, but too often they are not maximizing their potential for marketing online. DMA’s team offers customized solutions that include: Facebook ads with specific geographic and demographic targeting; YouTube and Instagram videos that maintain communication with website visitors and sell the community’s lifestyle; and creating content that directs online searches to the developer’s site. DMA also helps developers connect with audiences who search for communities by brand name. One of DMA’s most powerful solutions is to communicate with customers via email, facilitating effective, consistent messaging that builds relationships with those customers. The firm has enhanced its email communications systems with the latest techniques for even better results. 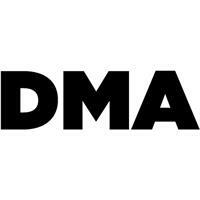 DMA’s has offices worldwide. An experienced staff of 30 experts identifies and solves online marketing issues for businesses who want to effectively market their services online. The Naples office is located at 3510 Kraft Road.